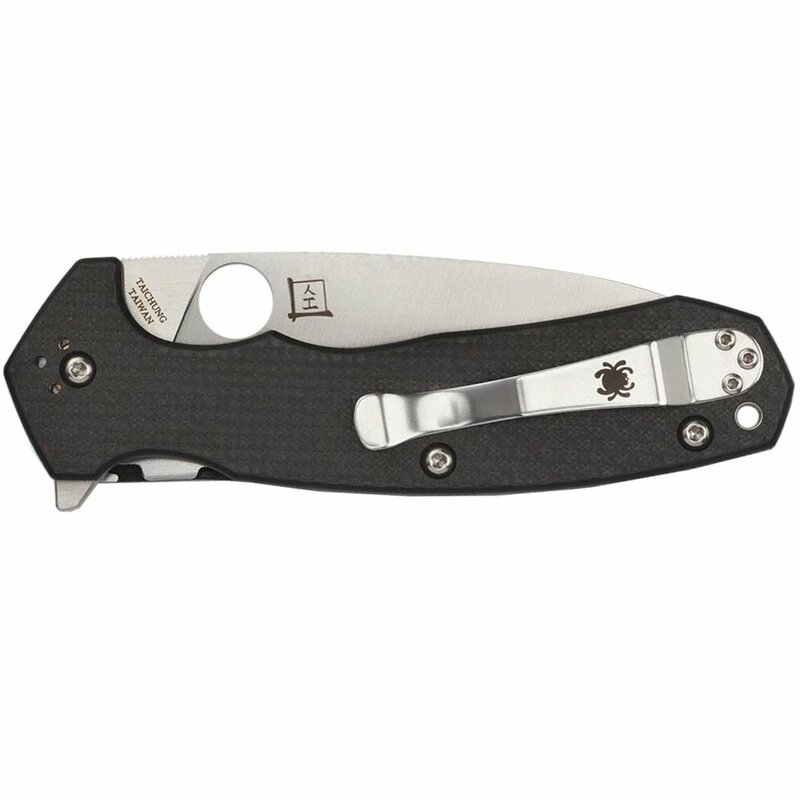 Designed from the ground up as a practical, versatile working knife, the Amalgam combines all the advantages of Spyderco’s patented Compression Lock, a fully accessible Trademark Round Hole, and a flipper opener into one synergistic package. The brainchild of a Mechanical Engineering student and knife enthusiast named Brian Lai, the Amalgam features a broad, drop-point blade crafted from American-made CPM-S30V stainless steel. The Plain Edge blade is full-flat ground for exceptional edge geometry and showcases a beautiful satin finish. It also rides on special low-friction ball-bearing washers that give it an incredibly smooth action and help ensure swift, positive, one-handed opening with either its index-finger flipper or its Round Hole. 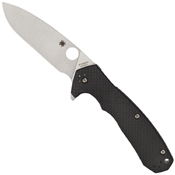 In the open position, the blade’s flipper also serves as a highly functional lower guard.